IRISH WATER BELATEDLY instigated a ‘tightening of controls’ and implemented extra training for staff in the wake of customer data breaches at the company earlier this year. The information has come to light as a result of records released under freedom of information. The incidents occurred in March 2015 and involved up to 15 customers’ bank details being sent to others without their consent. The details were addressed to either the wrong names or the wrong address entirely, in acknowledgement of a received direct debit mandate. Irish Water reported the incidents to the Data Protection Commissioner at the time. The Office of the Commissioner replied to say that given the remediation steps being taken to correct the situation, and assuming that all those who received letters in error had been instructed to destroy them, the Commissioner was happy to conclude their investigation. The entire process from report to conclusion took three days between 27 and 30 March this year. The utility has implemented a number of remedies in order to prevent such breaches from occurring again. Direct debit details are no longer accepted by phone to reduce the possibility of human error, while the system the company uses to verify that the correct address corresponds to the correct name and details has been honed. Similarly, certain administrator’s rights have been removed from company’s workers’ profiles to prevent them amending customer details on the system. “These improvements were made in day to day operations and did not involve any additional costs,” a spokesperson for the company told TheJournal.ie this afternoon. 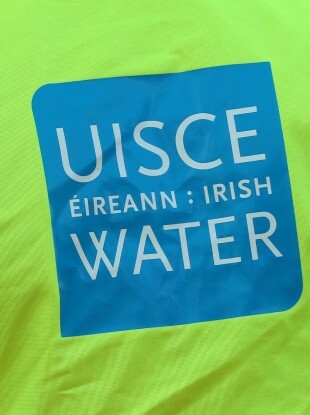 Irish Water has been beset with teething problems as regards their customers’ bank details and direct debit mandates. The problems are a headache the company could certainly do without given its fractious relationship with the public as a whole. The company now claims that over 50% of households have paid their water charges as of last month. Email “Irish Water 'tightened controls' after customer bank details were sent to the wrong people”. Feedback on “Irish Water 'tightened controls' after customer bank details were sent to the wrong people”.